Quanzhou Brother Commercial And Trade Co., Ltd. Feature: 1.High efficiency,long lifespan and good stable; 2.Grinding the material from coarse to fine. Becides, the advanced production equipment and strict quality control system,Based on 11year of experience. we always attach great importance to quality controling from raw material to shipping. Henan Bainian Abrasive Tools Co., Ltd.
5) We can offer our clients good after-sale service and professional technical assistance. Q: How long is your delivery time9 A: Generally it is 5-10 days if the goods are in stock. Favorable Comment Warmly welcome all partners to join us for mutual benefits cooperation. Shanghai Jiansong Industry Co., Ltd.
Fujian Wanlong Diamond Tools Co., Ltd.
Xiamen ZL Diamond Technology Co., Ltd.
Xiamen Astar Diamond Tools Co., Ltd. 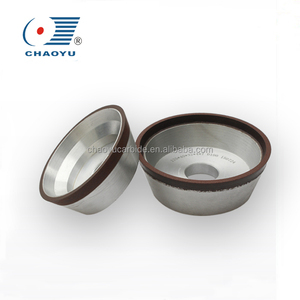 Widely used for polishing fuscous and light stones,no dye left during working on marble. 1). White buff can be used for not only polishing granite,but also for polishing white marble,don&lsquo;t dye marble or light color stone. can be packed according to clients' requirement or designed to fit for the product. Zhengzhou Sinoblade Imp. & Exp. Co., Ltd.
Quanzhou Jinshan Stone Tools Technology Limited Co.
Diamond Polishing Pads for polishing Granite Slabs - Wet use only 1). It can be adjusted according to your requirement and order quantity. We are committed to the research and manufacture of diamond tools. Quanzhou Daofeng Diamond Tools Co., Ltd.
Jiangyin Rockard International Trading Co., Ltd.
Hubei Yintian Diamond Cutting Industry Co., Ltd.
Dongying Raizi Tool Co., Ltd.
Quanzhou Tianli Grinding Tools Co., Ltd.
Xiamen Kaishenglong Imp.&Exp. Co., Ltd. 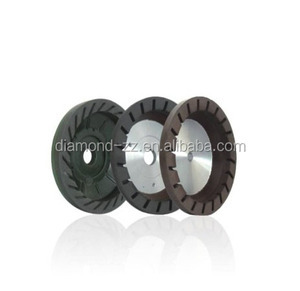 Product Name: Ceramic Bond Diamond Grinding/Polishing Pad for Stone Application: Dry polishing / grinding Grit: 30# 50# 100# 200# 400# 800# 1500# 300# Material Ceramic bond, resin and diamond Diameter: 3" 4" 5" Thickness: 8mm Thread hook and loop fastener back Feature: Good surface finish, High efficiency, Long working life. Payment: T/T Package: Carton box or plastic package for each piece or customers requirement Delivery: 10-20days after payment Shipment: by sea, by air, by express Color: Customized Various specification and shapes are available upon client&rsquo;s request. 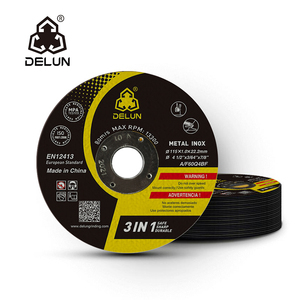 The Ceramic Bond Polishing Pads can remove metal bond scratches quicker than other traditional metal and resin bond abrasives tools which mainly ues for the transition from a metal bond diamond grinding process to a resin polishing process. Wet use Jx shine diamond polishing pads for hand held polishers, for granite marble stone 4"
Jiangxi Freet Diamond Tools Co., Ltd.
Quanzhou Top Diamond Tools Import & Export Co., Ltd.
Top Wet Use Granite Marble Diamond Polishing Pads Application: Diamond Polishing Pads are using diamond, resin as abrasive. It's suitable for stone polishing, such as Granite, Marble, Concrete etc. With high polishing speed, gloss durability and good softness. JR Diamond Tools Co., Ltd.
Usage Mainly used for PCD & PCBN tools ,natural diamond process, cemented carbide, ceramic cutting tools,air cindition compressor ,autimobile and motorcycle engine camshaft part,compressor parts ,bearing internal grinding , diamond grinding wheel etc. &diams; Our products Vitrified diamond & CBN tools, resin diamond & CBN tools, diamond tools for stones, diamond tools for glasses, electroplated diamond & CBN tools, high precision and superthin cutting wheels, diamond abrasive, diamond tools for gems, diamond grinding wheel ,etc. &diams; Our R & D team Eight engineers persist in improving our product quality and reducing the costs of our diamond tools. Xiamen Metool Diamond Tools Co., Ltd.
Fujian Nan'an Boreway Machinery Co., Ltd.
2 Enhance Shine of your Existing Pads 3 Immediate results, saving valuable time 4 for Wet& Dry usage 5 Virtually eliminaties waves or distortion Applied machine: Angle grinder/floor grinding and polishing machine / or other floor grinding machine Certification: ISO9001, SGS Product Quality Control Payment Terms: T/T, Western Union, Paypal, etc. Package Carton box for each piece or customers requirement Delivery 7-12 days upon receiving payment Main Market: USA, Canada, Germany, Italy, Portugal, Poland, Russia, Brazil, Chile, Australia, UAE, South Africa, etc. Tel: 0086-592-5099391 Fax:0086-592-5099319 skype:Muratdiamondtools 2. How to order9 3. Detailed Pictures and Similar Products Styles Packaging & Shipping 4. Packaging and Shipping 5. About us Welcom to ask more information! 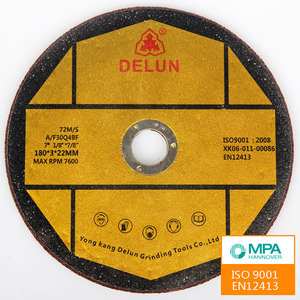 Fujian Nanan Xin Pulifei Diamond Tools Co., Ltd.
Huzhou Gus Imp. & Exp. Co., Ltd.
Danyang Omeio Hardware & Tools Co., Ltd.
Shenzhen Kingchens Abrasives Co., Ltd.
Resin bond diamond grinding wheels 1. High combined strength. Resin bond wheels are characterized with high precision, keen sharpness and long service life. 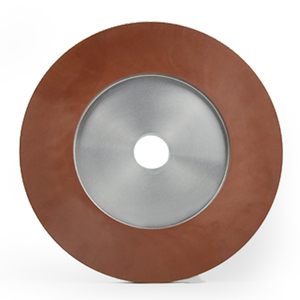 Vitrified bond diamond grinding wheels with double efficiency are also available . Zhengzhou Pindu Trade Co., Ltd.
Dongying Jiangxin Grinding Tool Co., Ltd.
,ltd 20 years professional manufacturer (comapany was established in August 1994),mainly produces and studies abrasive tools for stone. After a long period research of variouse binders,now the leading products are resin diamond polishing pads,metal diamond polishing pads,ceramic diamond polishing pads and so on. Compensation Policy Any quality problem caused by our company side with enough evidence, we promise you that if could be re-produced for free. Foshan City BaoYu Abrasive Hardware Co., Ltd.
Foshan Lishan Abrasive Co., Ltd.
: 1: P50 for aggressive coarse grinding. You can place a trial order to evaluate the product quality. or it is 15-20 days if the goods are not in stock, it is according to quantity. Beijing Deyi Diamond Products Co., Ltd.
10-15 working days for mass order, depend on specific requirement or quantity. Please feel free to contact us for further information. Our technician will analyze and offer solving scheme . Hunan Jrone Diamond Tools Co., Ltd.